There are many existing ways on how one could be an effective writer. In addition to that, there are also a lot of ways on how one could express an opinion through writing. 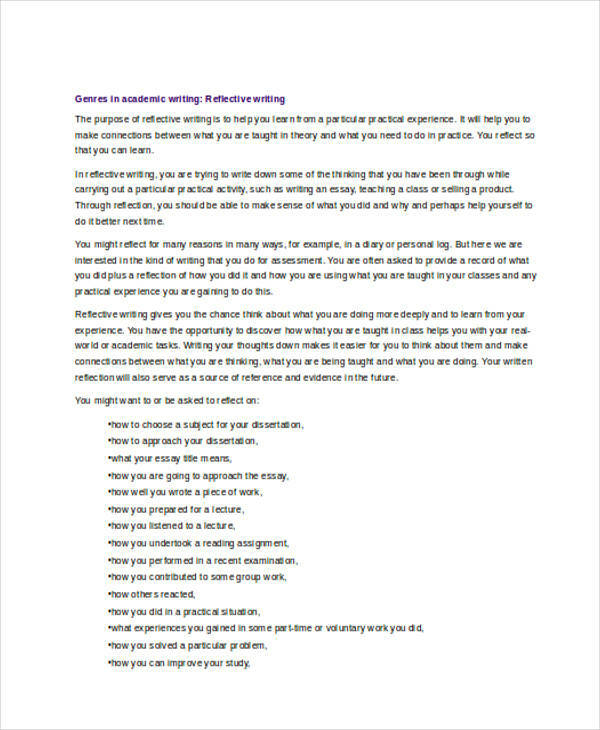 For the most part of writing, some of you are already familiar about application writing and summary writing. While these are just some of the examples of free writing, we also need to remember that the whole process of writing is so vast that there could probably be thousands of writing examples you can come up with. But, if you are a true writer, you also need to be able to write something that requires internal understanding. 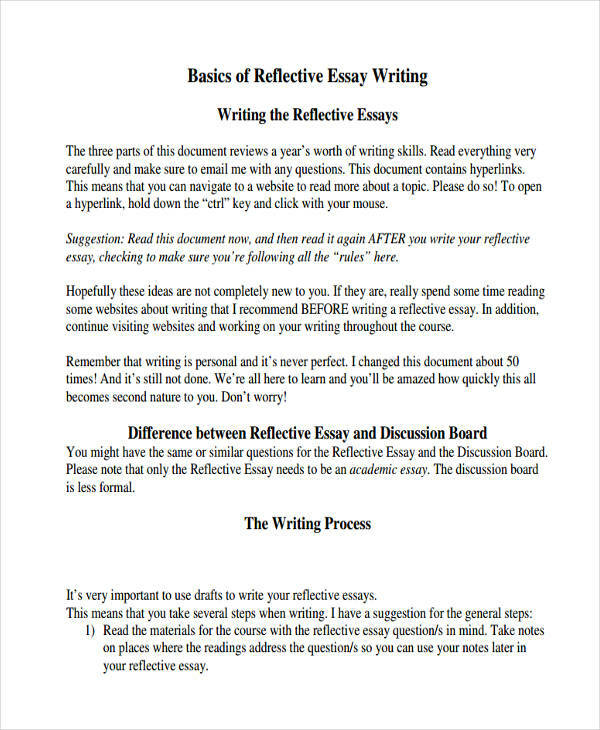 Reflective formal writing is the process or the act of writing an essay or a short composition that focuses on answering the questions what and why. In other words, it is the act of writing something out of your own perspective and reflection of the things that you are most aware of. Reflective writing is mostly full of emotions and expression of an idea or an opinion. The word itself provides a clearer picture of what the main objective is. To reflect is to clearly think about something, whether it is an experience or an event. 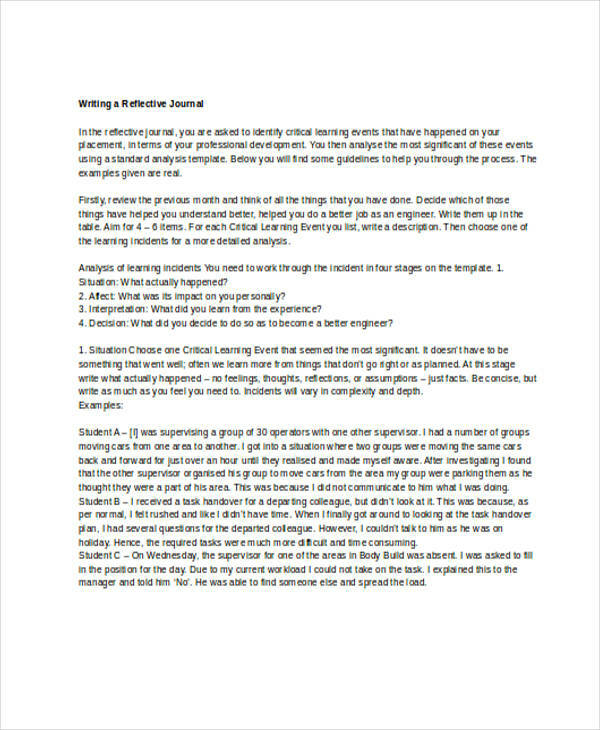 To analyze a reflective writing, you need to make sure that it has the essential components that should be found in any reflection paper or piece. That is the element of feeling and the rush of emotion. Since reflective writing revolves around the explanation or reflection of a concrete experience, you need to consider the writer’s interpretation and impact on his own personal life. As a person who grew up an in environment where reflection is a part of the day-to-day activities, I could say that reflective writing improves ones perception and awareness of the things around you. With reflective essay writing, you will start to appreciate even the small things that surrounds you. From the sound of the wind to the chirping of birds, everything becomes a part of your existence. As a writer, it is important that you should be aware of your environment because not all the things that you write cannot come from within. The things that you write and the ideas that you give to your readers are a mere reflection of your outside world and how you see things. 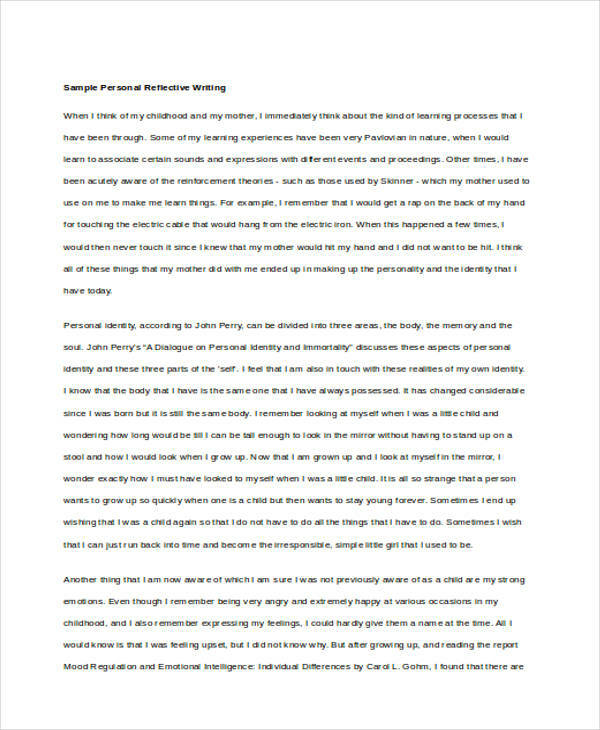 Reflective writing examples requires inter-personal skills. You need to be able to reflect internally and try to understand the true essence of a thing or an object. Start with self-awareness. The more you become aware of your existence, the more likely you would appreciate the things around you. As a result, you can start reflecting on something and dig deeper into its core. Focus on something. Before you can understand the meaning of something, you need to have focus. It is important that you find the right disposition in order for you to situate yourself in a stance appropriate for reflection.